Announcing the Season 5 Schedule for BlackProGen LIVE! Happy holidays geneabuds! A new season is upon us and the future is beaming! 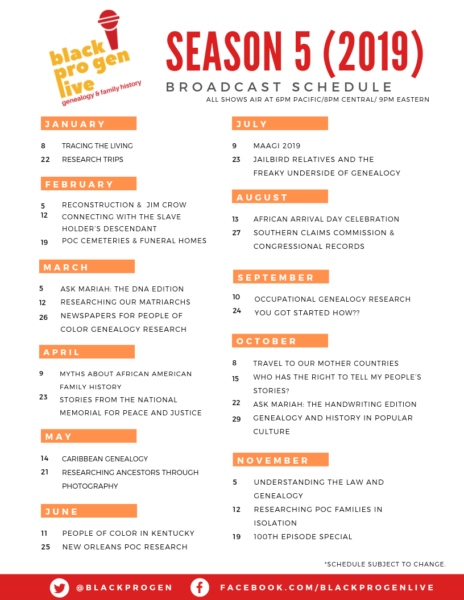 2018 is wrapping up and of course that means the release of the much anticipated broadcast schedule for BlackProGen LIVE, genealogy and family history with seasoning. It’s been a joy to host the show for the past four seasons and moving into 2019, we’ve got everything you expect from us and more! 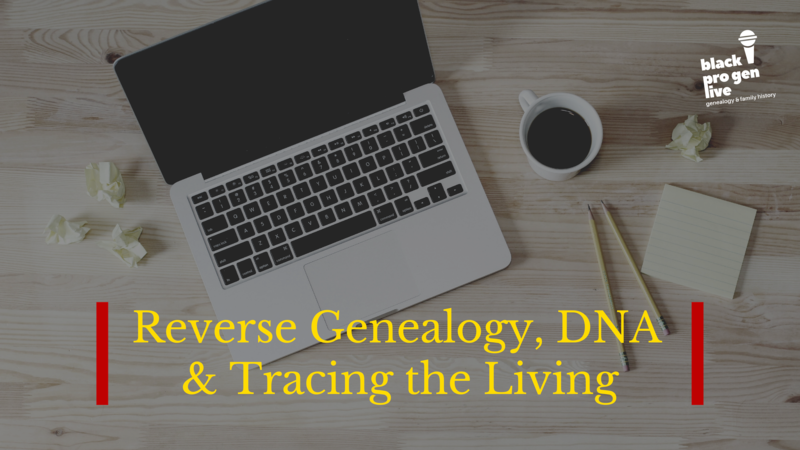 #74 – Reverse Genealogy, DNA, and Tracing the Living – So, you’ve done a great job finding your ancestors, but you’re not sure where to start to try to locate their living descendants. In this episode, we’ll cover tips and tricks you can use to safely and respectfully unearth the identities of your living cousins. #75 – Getting the Most From Your Research Trip – If you’ve hit a dead end in your research and you’re not quite sure how to get past it, a research trip to your ancestral location is just the thing for you! We’ll cover how county/parish courthouses are organized, what it’s like to visit a state archives or repository, how you can best prepare before getting to either location, what you should expect, and more. 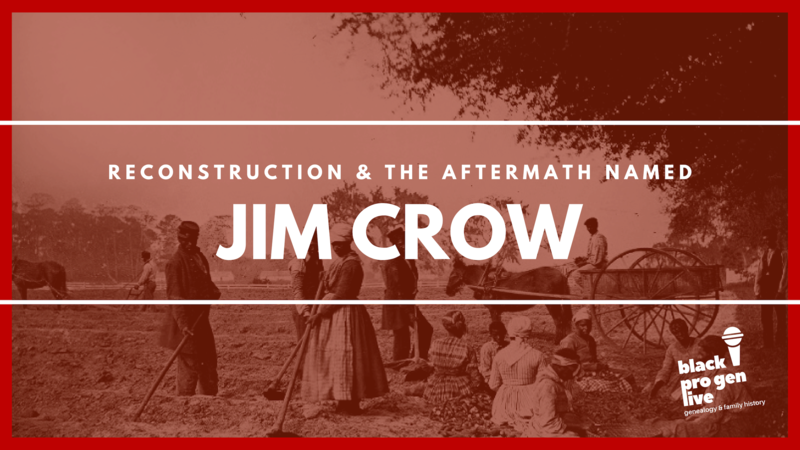 Reconstruction was a pivotal time in American history that often gets overlooked, especially in genealogy. 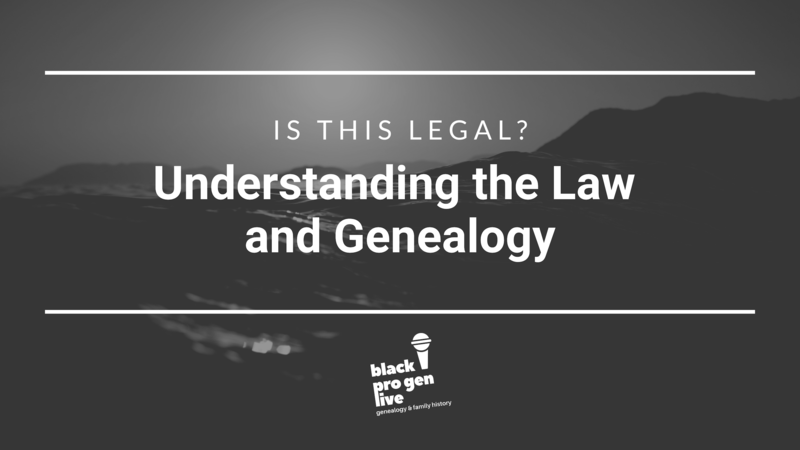 During episode 76, we’ll discuss how the law and shifting community dynamics affected our ancestors on both sides of the aisle and the resulting restrictions enacted as a response. #77 – Connecting with the Slave Holder’s Descendant, with special guests Norm Davis, Thomalind Polite, and Edward Ball – Slavery is a complicated topic to research solo, but can provide new experiences, finds, and more when done in concert and shared with another researcher. 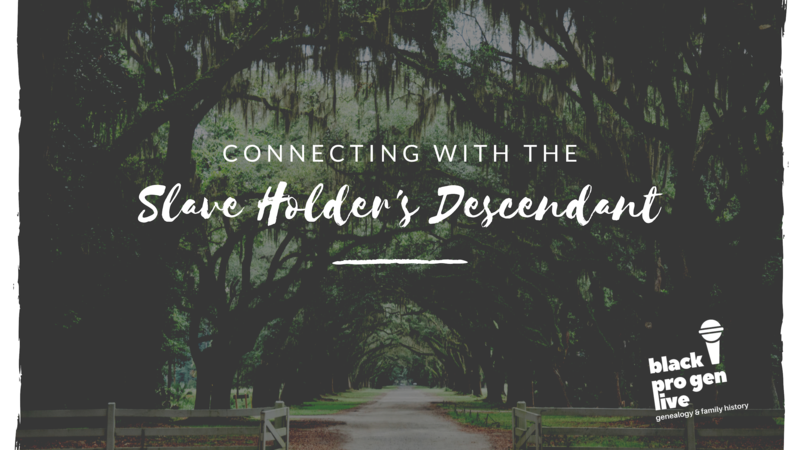 In this episode, we’ll delve into the unique world of relations and connections being forged between the descendants of the formerly enslaved and descendants from the former slave holding family. 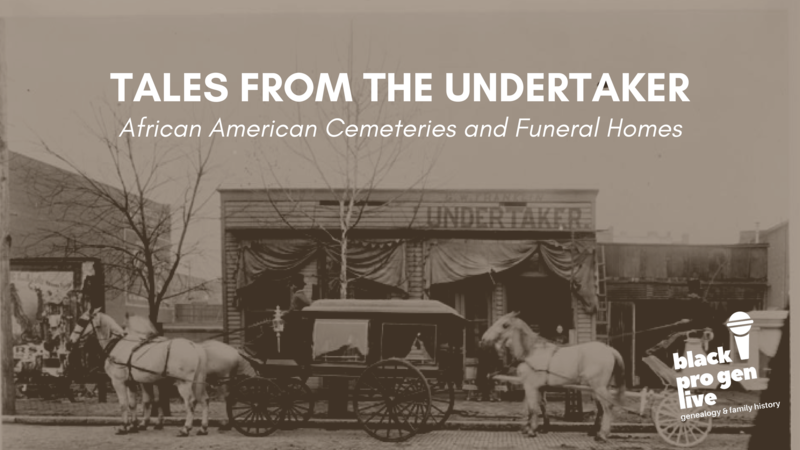 #78 – Tales from the Undertaker: African American Cemeteries and Funeral Homes – “Who’s got charge of the body?” is a time honored and loaded question uttered upon the death of a relative in the African American community. Episode 78 will discuss the history and legacy of African American cemeteries and funerals along with how to utilize their records as crucial genealogy resources. 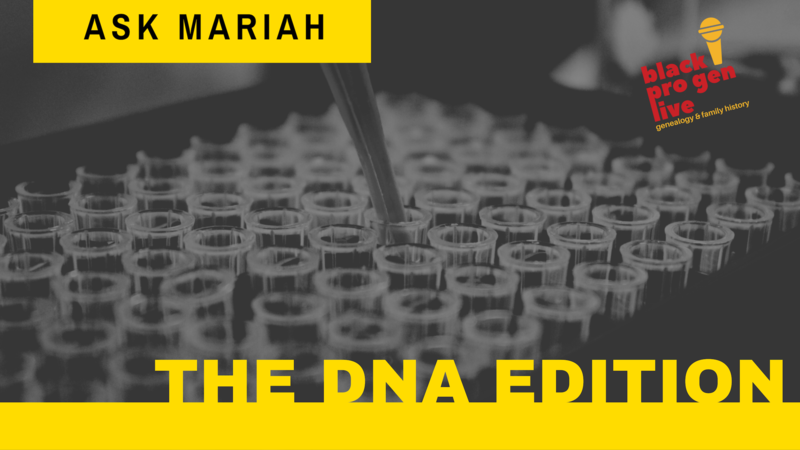 #79 – March 5 – Ask Mariah: The DNA Edition – Taken a DNA test and confused by the results? Or, perhaps you want help trying to narrow down how a genetic cousin is related to you? Episode 79 is your chance to get assistance and is an entire episode of viewer submitted questions all about DNA! 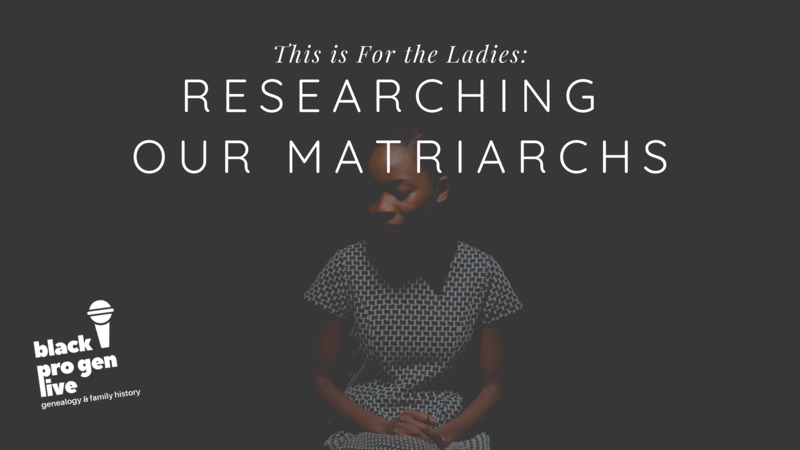 #80 – This is for the Ladies: Researching Our Matriarchs – Finding and tracing our female ancestors can be a monumental task. In this episode, we’ll discuss the ways a researcher can unearth and track the women in our families and preserve their stories despite what may seem like a lack of records. #81 – Extra! Extra! 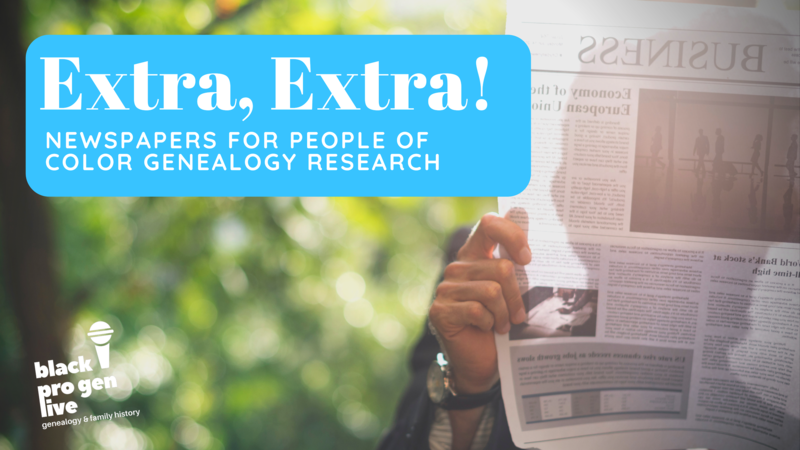 Newspapers for People of Color Genealogy Research – Newspapers can be a goldmine for genealogy, especially in the case of records destruction or when all other avenues have failed to yield findings on an ancestor. Episode 81 will discuss all you need to know to get the most out of using periodicals as genealogical resources. 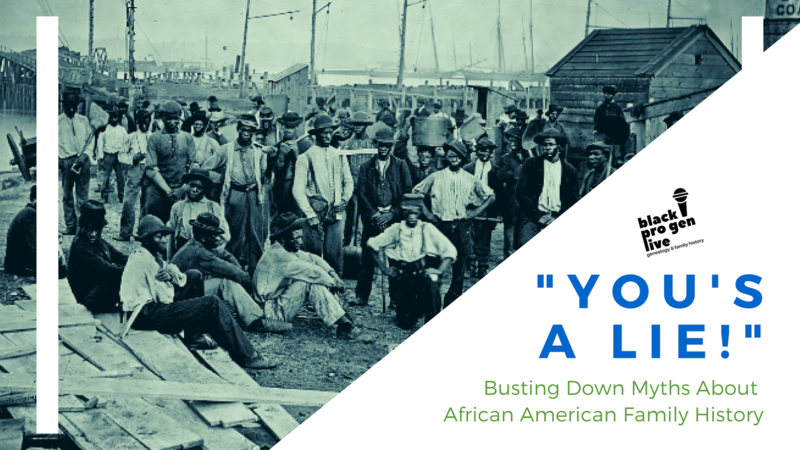 #82 – “You’s a Lie”: Busting Down Myths About African American Family History – Many begin their family history journey believing there aren’t many records available for African American families or that there is no history to record. We know that’s not true at all! In this episode, we’ll discuss common myths about African American family history, how to respond to them when they arise in your own family, and ways to share the findings you’ve made to change the narrative. 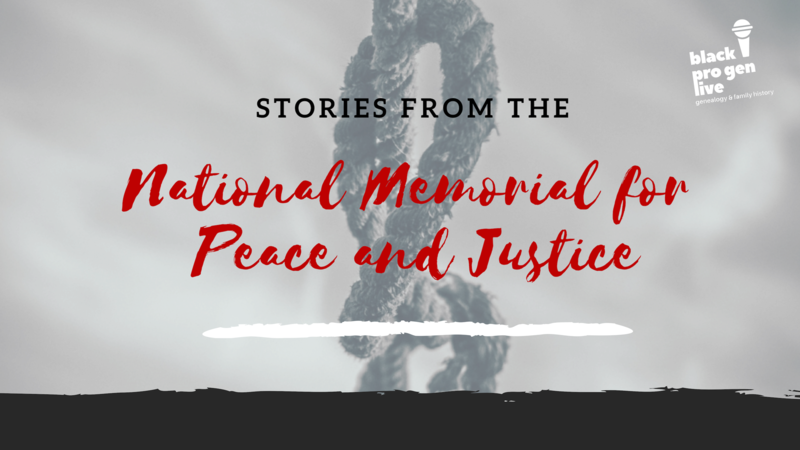 #83 – Stories from the National Memorial for Peace and Justice – In 2018, The Equal Justice Initiative (EJI) opened the The National Memorial for Peace and Justice which memorializes more than 4,400 African American men, women, and children who were hanged, burned alive, shot, drowned, and beaten to death by white mobs between 1877 and 1950. Episode 83 will feature the family history of some of the victims documented in the memorial in an effort to humanize and bring light to their lives outside of a tragic event they have been associated with. 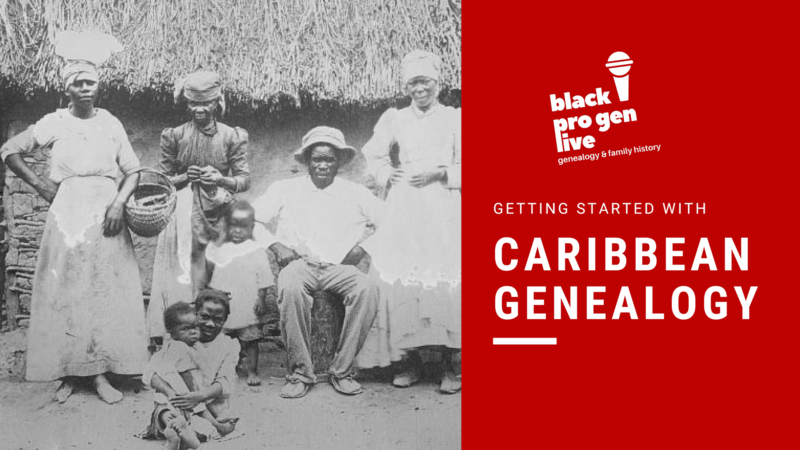 #84 – Getting Started with Caribbean Genealogy, with special guest Anaisa Bayala – Learn tips, tricks, and more for researching ancestry in the Caribbean! 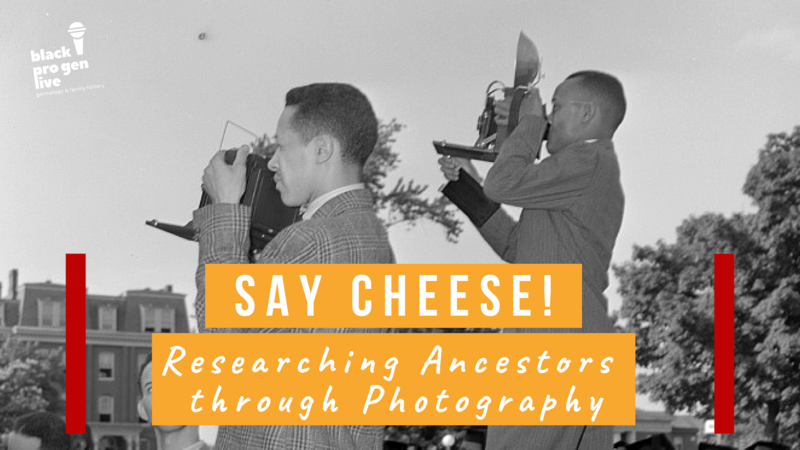 #85 – Say Cheese – Researching Ancestors Through Photography – May is National Photography Month and episode 85 will cover how to use photography in your genealogy project, how to date photos, and proper care to ensure future generations are able to enjoy the family photo archive. 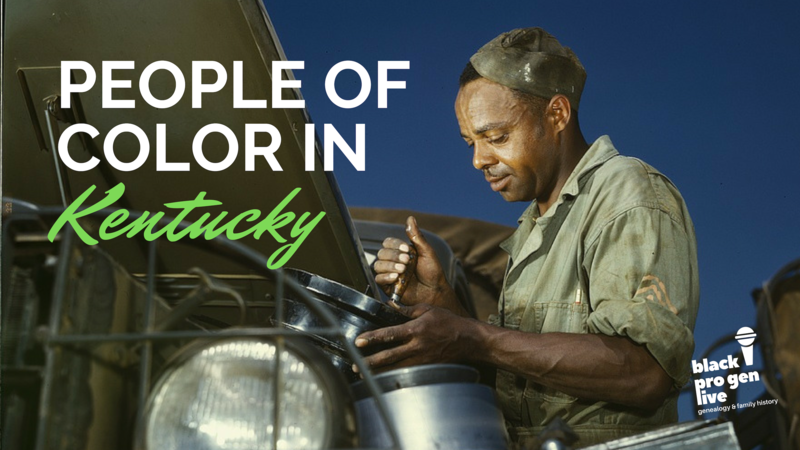 #86 – People of Color Genealogy Research in Kentucky with special guest Sharyn Mitchell, president, President of The African-American Genealogy Group of Kentucky – Learn tips, tricks, and more for researching ancestry in the bluegrass state! 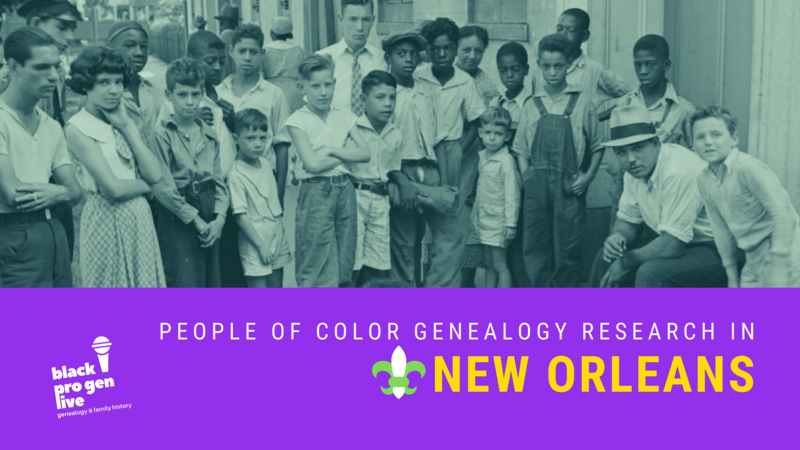 #87 – On My Block: New Orleans People of Color Genealogy Research – 135,000 people of color had were sold there as enslaved people in the city of New Orleans. In contrast, 20 percent of the population of the city were free people of color prior to the Civil War. Learn the ins and outs of researching genealogy and family history in this important location. 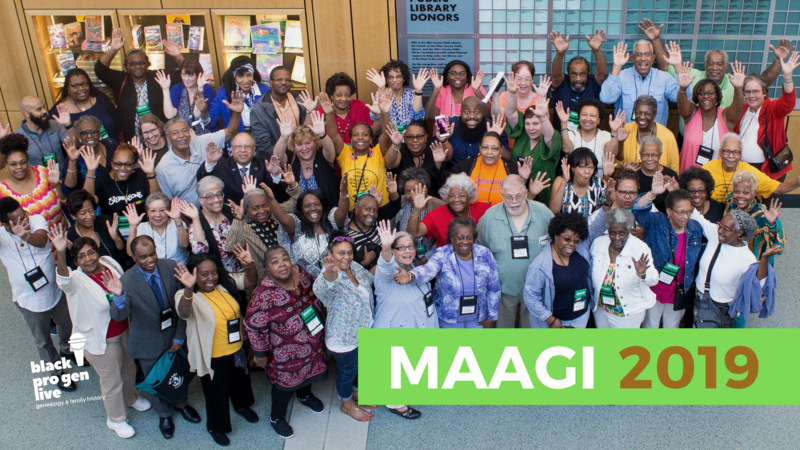 #88 – Midwest African American Genealogy Institute (MAAGI) – It’s the place to be to learn, share, and grow in African ancestored family history and genealogy. 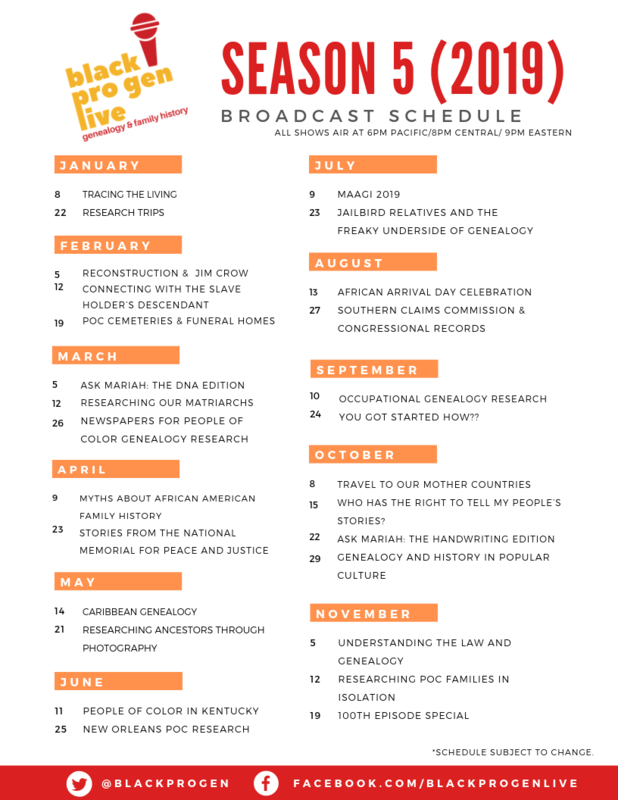 Join us for a live show from the Midwest African American Genealogy Institute (MAAGI), the teaching institute. 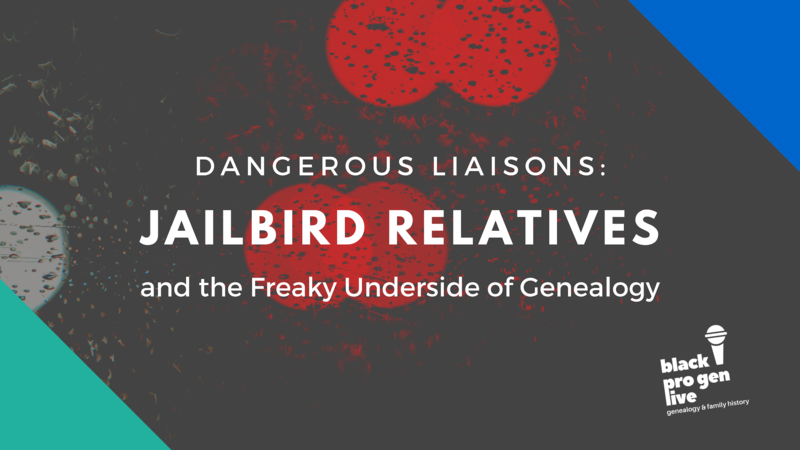 #89 – Dangerous Liaisons: Jailbird Relatives and The Freaky Underside of Genealogy – Brothels, murderers, women of the night, thieves…family history research can unearth truly colorful facts about ancestors. In episode 89, we’ll cover how to gain more information on infamous relatives and their interesting exploits. 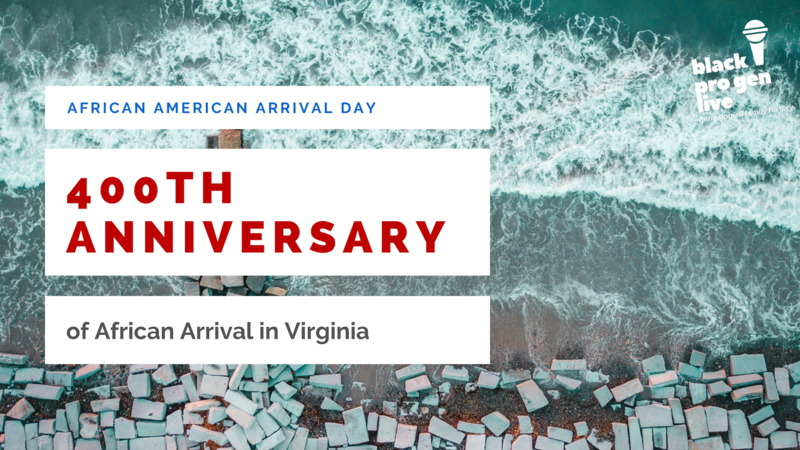 #90 – African Arrival Day Celebration – On August 25, 1619, John Rolfe, a tobacco planter, documented the arrival of Africans from Angola who were set to be enslaved in the Virginia colony. 2019 will commemorate the 400th anniversary of their arrival at Point Comfort in Hampton, Virginia. 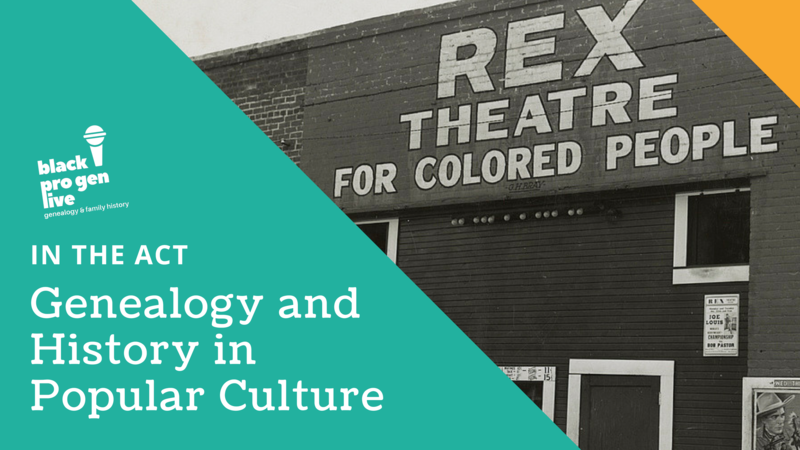 Join us for a discussion and celebration of their history and legacy. Special guest: Calvin Pearson, Project 1619. 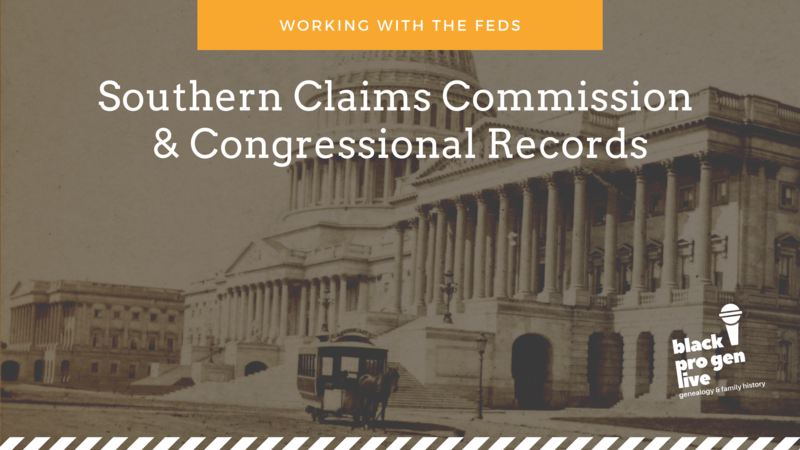 #91 – Working With The Feds: the Southern Claims Commission & Congressional Records – In 1871, Congress established the Commissioners of Claims (Southern Claims Commission) to review and make recommendations and potential reimbursements for the claims of southern loyalists who “furnished stores and supplies for the use of the U.S. Army” during the Civil War. Additionally, Congressional Records can be a goldmine for first person accounts from ancestors, their communities, and more. During episode 91, learn more about these crucial record sets and how to find ancestors within them. 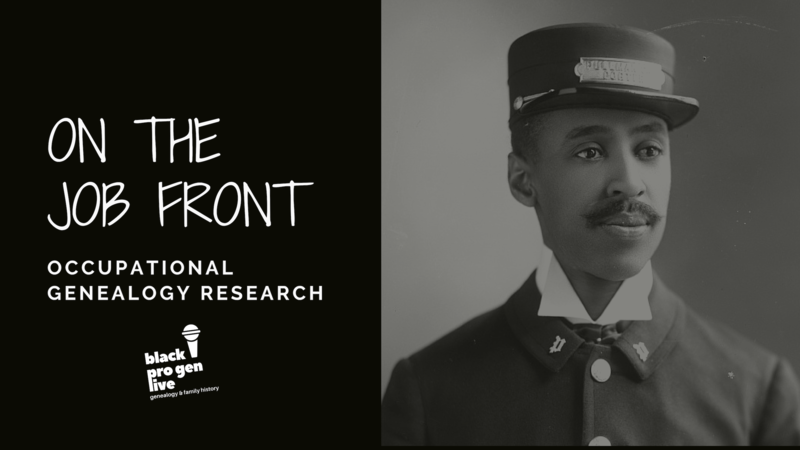 #92 – On the Job Front: Occupational Genealogy Research – Pullman porters, railroad workers, unions, and more. Researching an ancestors occupation can add breadth of information for a family history project. In this episode, learn tips and tricks and how to find records that document ancestors while on the job. 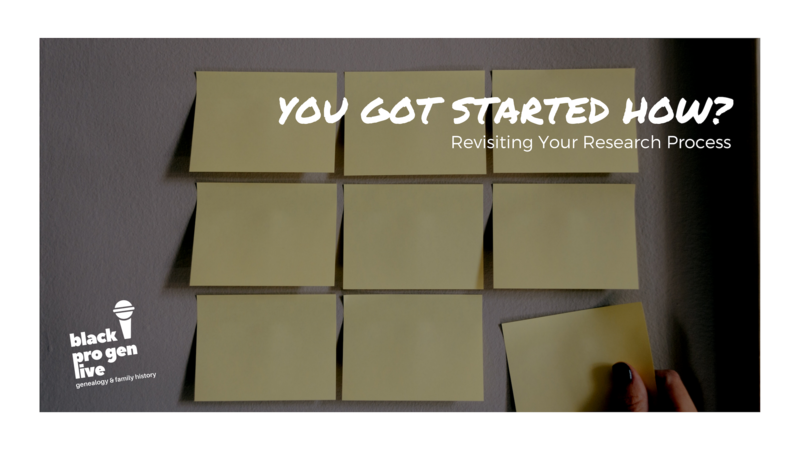 #93 – “You got started how?” Revisiting Your Research Process – Whether you’re new to genealogy or a seasoned veteran, it never hurts to head back to the basics. 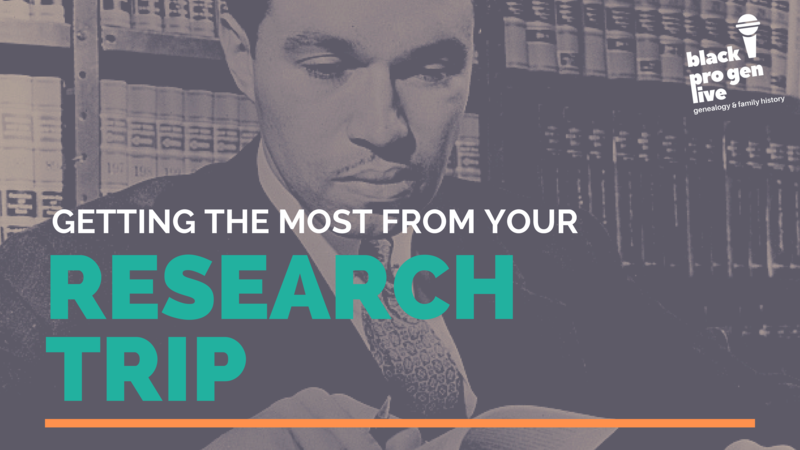 Episode 93 will cover how to make sure you’re maximizing your efforts as you gather more and more information in your family history search. 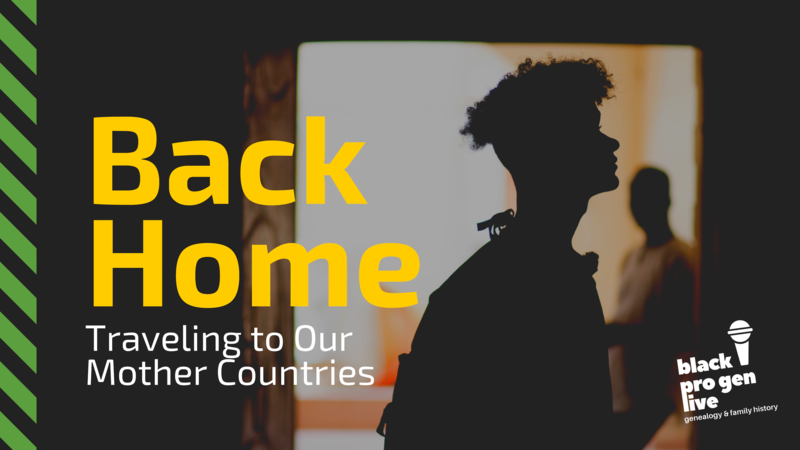 #94 – October 8 – Back Home: Travel to Our Mother Countries, with Ada Anagho-Brown – Visiting our ancestral locations is a deeply transformative experience. In this episode, learn the ins and outs of planning a trip, what to expect, and how to incorporate the experience into your genealogy project. 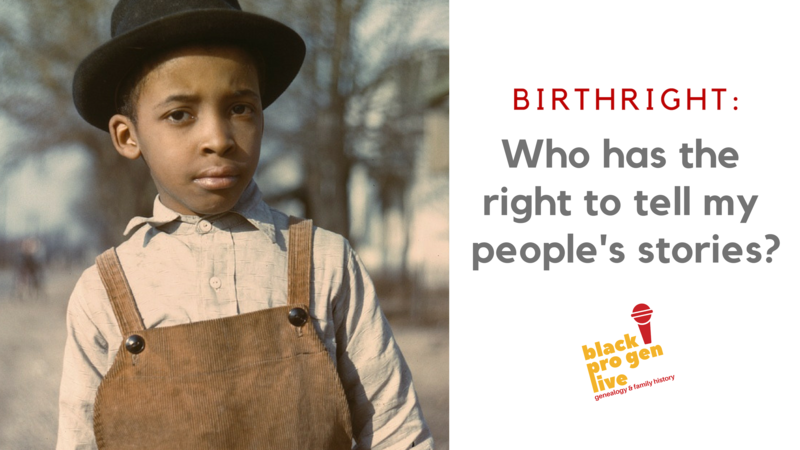 #95 – Birthright: Who Has the Right to Tell My People’s Stories? Should there be a stipulation on who has the right to tell certain stories? Is it dependent on the role certain groups play within the historical event landscape? Episode 95 will tackle this difficult topic. 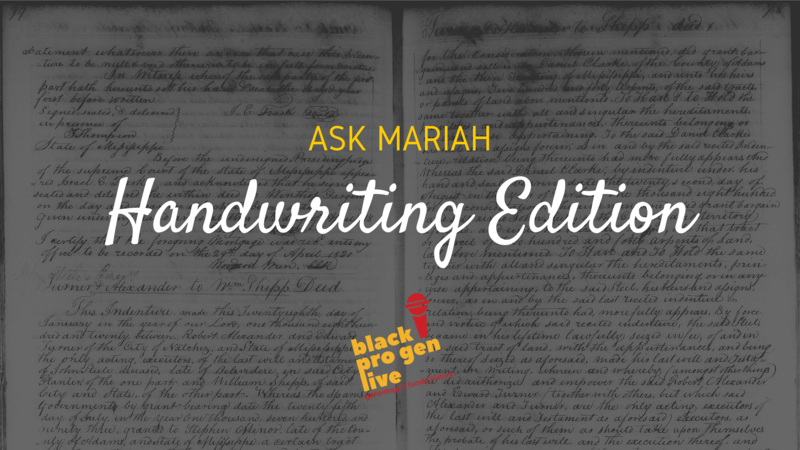 #96 – Ask Mariah: The Handwriting Edition – Can’t read the writing on a crucial document? Think you’re seeing one thing on something you’ve collected but you’re not sure? Send your handwriting conundrums to BPG and we’ll help you with them LIVE! Genealogy and history are en vogue in popular culture, largely due to the number of television programs that are themed around the topics. In episode 97, we’ll discuss the implications of the two converging into entertainment and the effects they have on the industry as a whole. 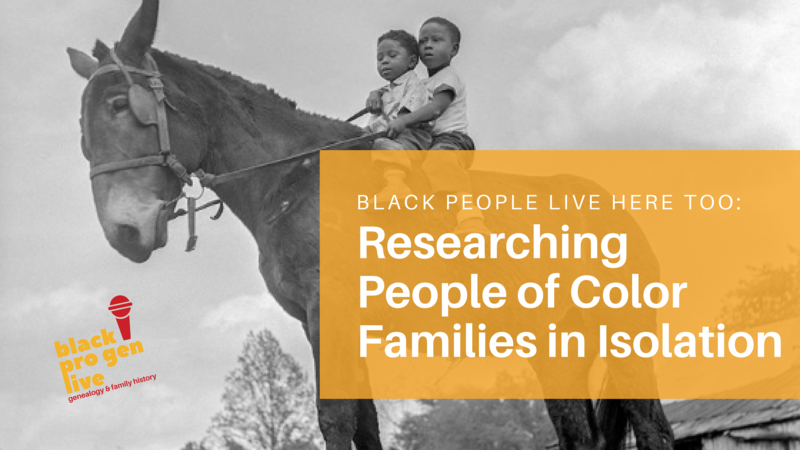 #99 – Black People Live Here Too: Researching People of Color Families in Isolation – People of color have often lived in communities where they were drastically in the minority. In episode 99, we’ll cover the ways you can unearth the story of your ancestors when it seems as though they were the only folks like them living in their community. 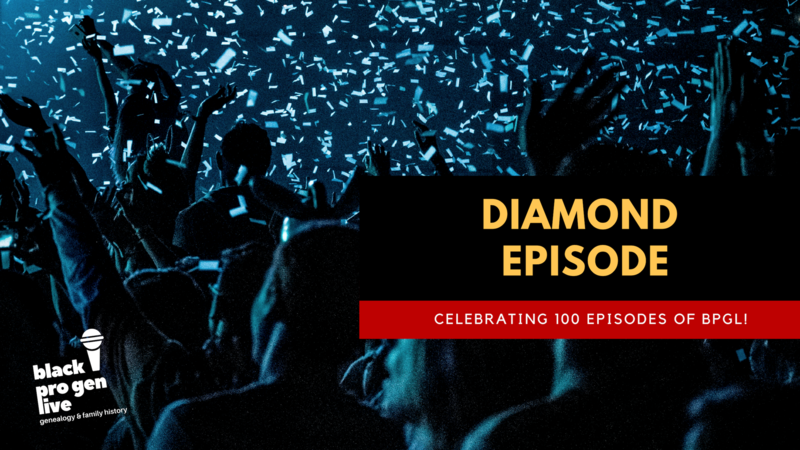 #100 – Diamond Episode Special – We can’t believe we’ve hit 100 episodes! 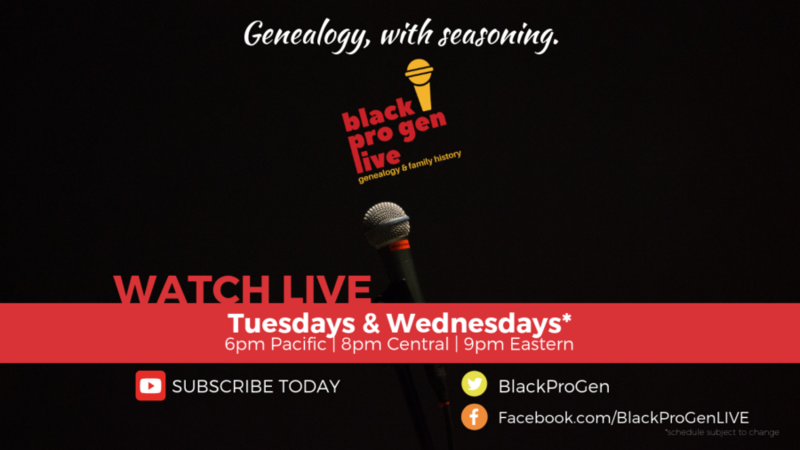 In this special, we’ll go behind the scenes on all things BlackProGen LIVE – from the origins of the panelists to how we get the show to you – and we’ll discuss our thoughts on the journey we’ve taken over the last five years. Pingback: Celebrate National Research Trip Week! - who is nicka smith?